This year we arranged informal drinks on the Saturday afternoon at the Jesus Arms, after Natalie got the ball rolling via the CC meetups. The staff at the Jesus Arms were very welcoming, and allowed us a generous part of the area, and the people who were there for other reasons were very open and friendly. There was no downpour, and around 130 people turned up. No labels, no icebreakers, just red straws in drinks for identification purposes. Ariam and I were helped by some great volunteers Ellen, Natalie and Duncan who helped us set up, welcome people and handed out straws and chocolate treats. There was a great friendly atmosphere. While most people are Greenbelt regulars, some turned up just for our event, including the gentleman who turned up in a suit coming from a wedding about 2 hours late because of a motorway hold up. It was a relaxed time of chatting and sharing. One older couple turned up – to remind us they had met on Christian Connection about 13 years ago and came to every Greenbelt as well. Another couple happened to be sitting near the event and beamed that they too had met on Christian Connection! And that for me is one of the very best things about Greenbelt. At the office we deal with queries, some complaints and some difficult stories and just everyday admin. But at Greenbelt you can wander around and suddenly members will say hello and introduce themselves and couples will come up sometimes with children and say how they met on Christian Connection or at Greenbelt or some other event. They will share their story, full of happiness and excitement. 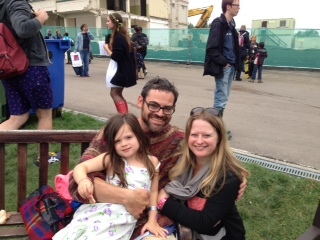 Here is one such family – Chas, Clare with their daughter who met at Greenbelt Speed dating in 2003! Clare had carefully planned to attend the speed dating in advance but I remember having to coax Chas and a number of other rather wary chaps out of the Winged Ox Bar about 30 minutes before the event started to bump up the numbers of men. Not an unusual situation but with a wonderful outcome! 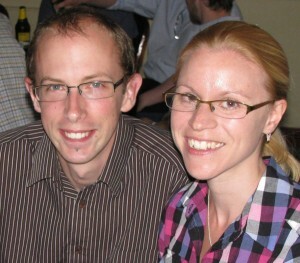 Here they are 10 years on. Looking to the future we would love to work with Greenbelt on providing more things to do for people on their own, both in terms of social events but also in the programme. There is a gap there and it’s time it was addressed. Other Greenbelt highlights – well I really enjoyed the CC drinks but a special Communion Service based on Les Miserables hit the spot for me. Wow! 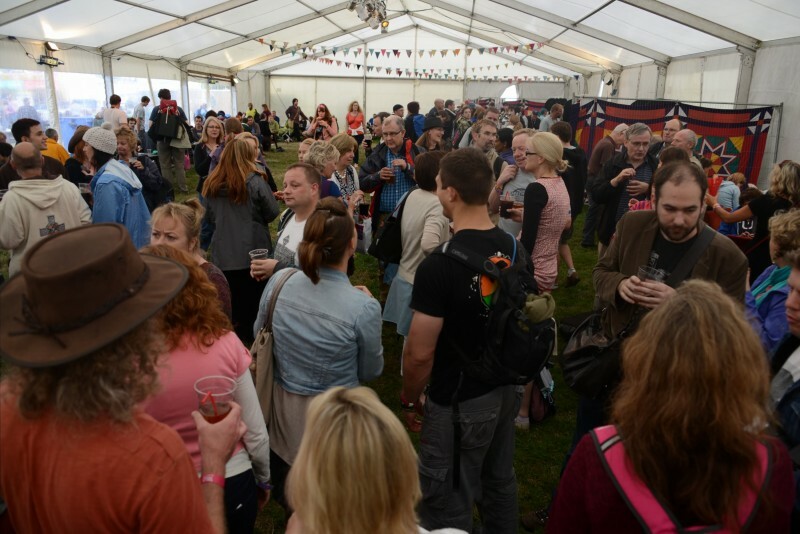 So what did you love or hate about Greenbelt this year? Share your stories with us.